Certified Arden 15 seed, Pennington Seed's latest upgrade to Princess 77. 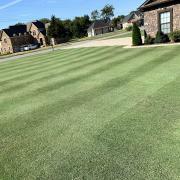 Good quality turfgrass with excellent color and superior early spring green up! A two clone intraspecific hybrid that provides a more uniform turf compared to other seeded cultivars! Grow a Blackjack lawn from grass seed and enjoy the fast coverage and establishment. 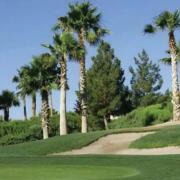 Blackjack bermuda seed produces a fine-textured, carpet-like, dark green grass turf. Over-seed an existing lawn with Blackjack, a top-quality variety, to add density and deep green color to your established warm-season turf. A grass seed blend, LaPrima XD with "X-treme Density," is a blend of superior seeded bermuda grass cultivars selected for fast germination and establishment, combined with the highest turf quality. This blend combines Yukon, and Royal Bengal bermuda grass seed, selected for superior turf quality, fast establishment, rapid divot recovery and good turf quality. 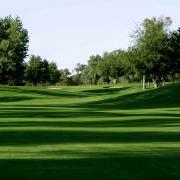 The final results of the 2012 NTEP bermuda grass trials are in and Maya was ranked at the top with the best of them. In fact there was not one seeded variety, either commercially available or experimental, that had a significant difference in turf quality. Princess 77 is no longer available. Pennington has substituted it with Arden 15 which is a newer variety with better cold tolerance and a faster grow-in. 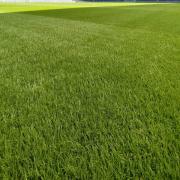 This is a new generation cold-tolerant turf-type seeded bermuda grass produced by Johnston Seed Company. Riviera is a revolutionary product developed by the Oklahoma State University Turf grass Development Team, with financial support from the United States Golf Association. This high quality grass seed was developed by the Oklahoma State University Turfgrass Research Team, in conjunction with the USGA. This turf grass seed produces a superb turf quality making it perfect for tees, fairways, roughs and even greens for the DIY home putting green. Yukon is also know to be an exceptionally cold tolerant bermuda grass.